Quick Change Clips. Carp Fishing Tackle. Quick Change Multi Clips with a matt black anti glare coating to help prevent spooking wary carp. Multi Clips have lots of uses in carp fishing. 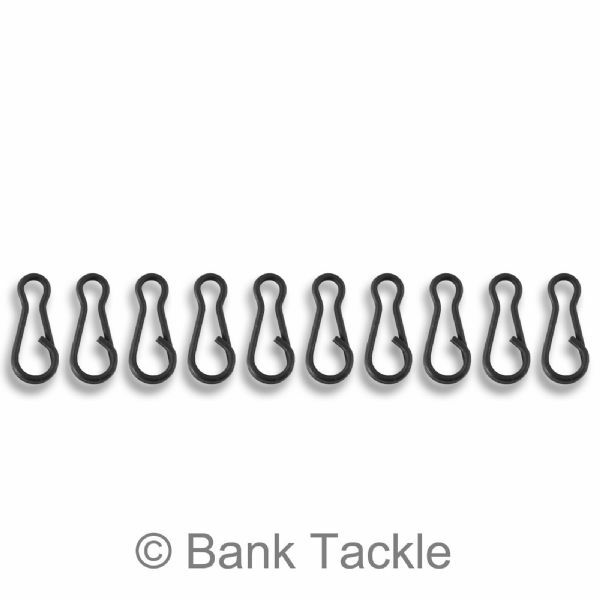 Mainly they are used as a link for quickly and easily changing rigs. Less time tying knots means your rods can be in the water more, resulting in more bites and hopefully more fish on the bank. Multi Clips can also be used with Leads allowing the weight to be easily changed as and when needed. Our most popular size of Multi Clip is the Medium 12mm. 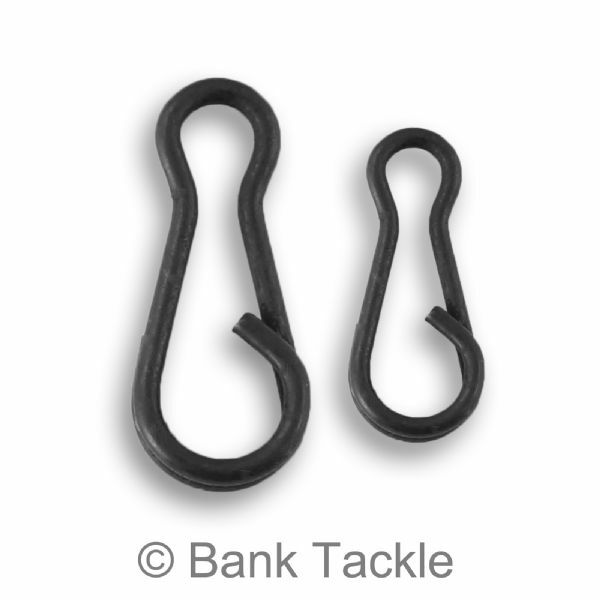 These are suitable for most everyday carp fishing situations. 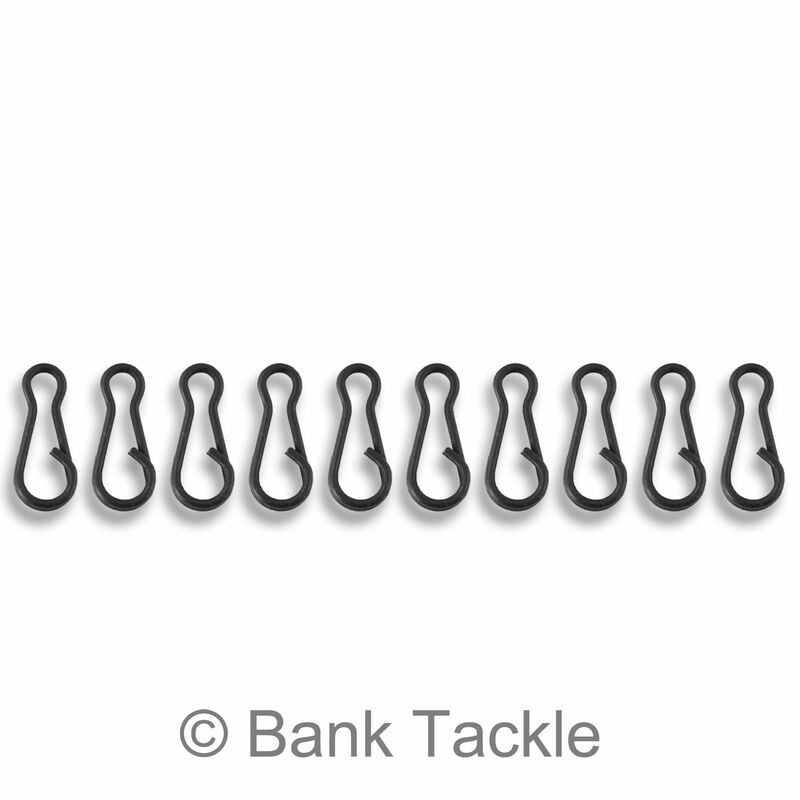 The Small Multi Clips at 9mm are perfect for carpers who are looking to fine tune their rigs and scale down in size and visibility.